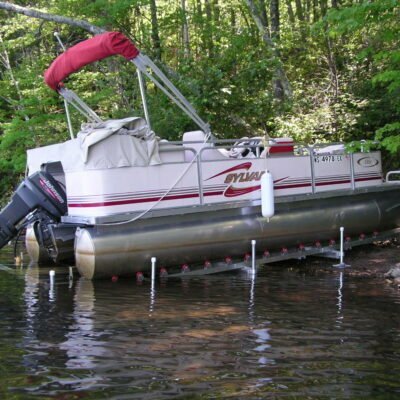 Storing your watercraft on shore comes with many benefits including saved money, space and time. 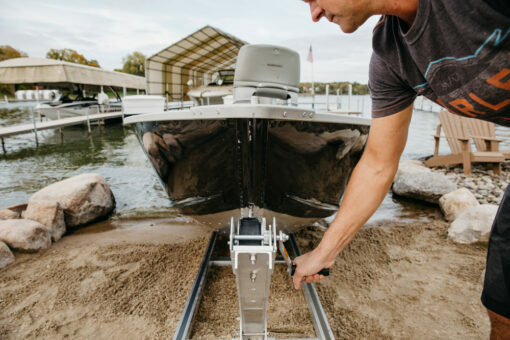 Luckily, our shore ramp docking systems allow you to do so with an easy-to-assemble kit which is efficient and easy to use and can keep your boat safe and secure right on shore. 1200 lb. 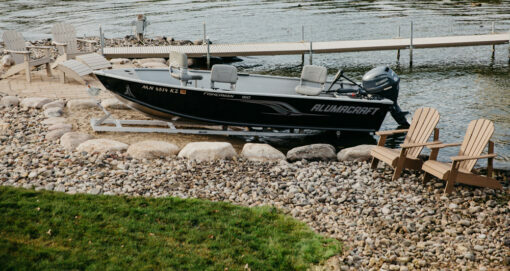 capacity aluminum marine boat ramp for docking your boat quickly and easily. 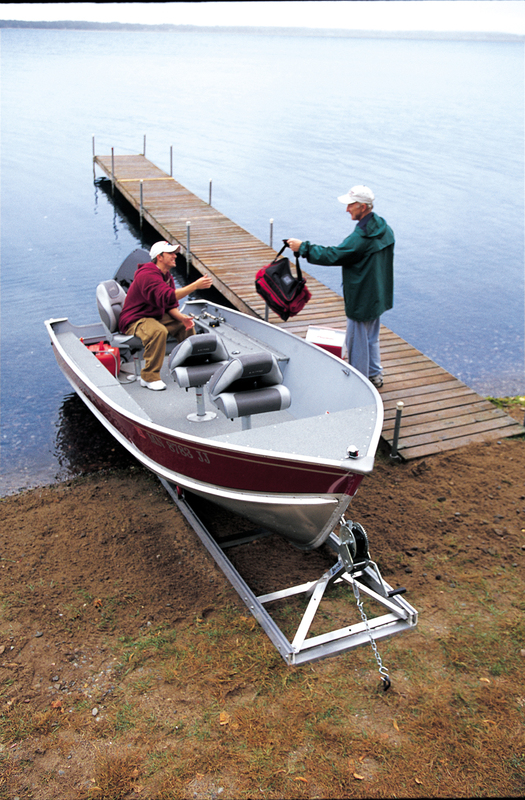 This versatile, adjustable model fits small watercraft up to 1200 lbs. – from sailboats to Jon boats to small V-hull and flat-hull fishing boats. Basic kit is 18 feet in length. 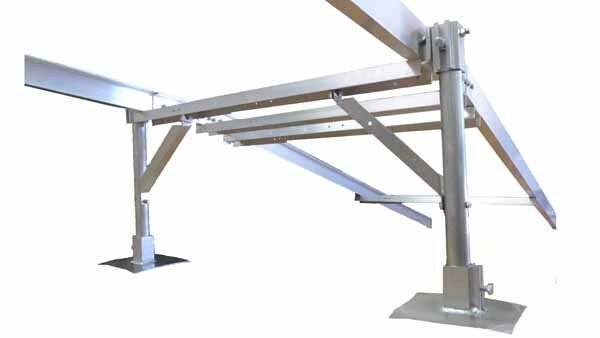 Rail width adjusts from 24” to 40”. 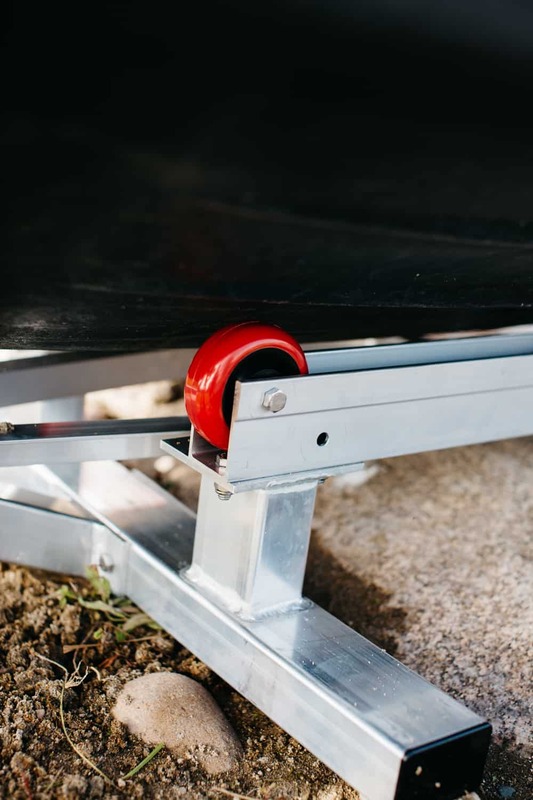 Includes 16 polyurethane style rollers, which mount anywhere along the rails. 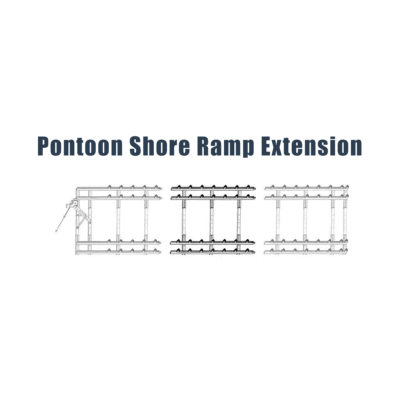 Also available are complete 9-foot add-on extensions. The standard 1100-lb. winch with 30’ strap is upgradeable to a 1500 -braking winch with 50’ cables. 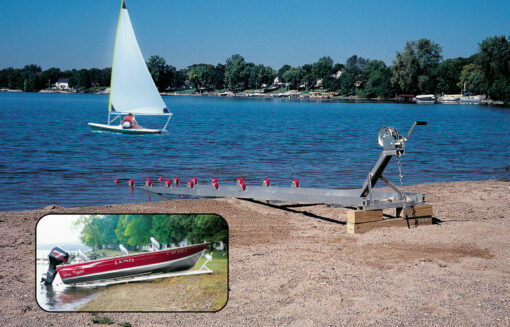 The easy-to-assemble shore ramp kit is complete with ground anchoring system. From Roll-n-Go Shore Docking Systems.